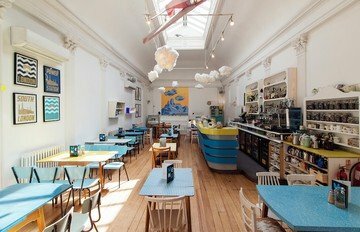 Located on the Caledonia Road, Drink Shop and Do is an atmospheric cafe occupying three floors including and bar, dancefloor and sweet shop. 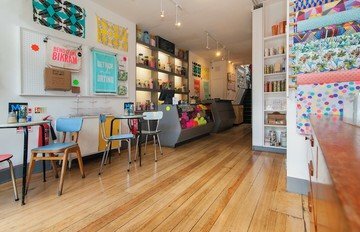 The space is ideally accessible by a 2 minute walk from both King’s Cross and St. Pancras Stations. 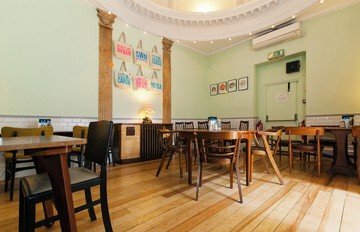 Hire space in Drink Shop and Do’s upstairs cafe for corporate and private events, such as drinks receptions, product launches and team building, or use it as the perfect alternative meeting venue. 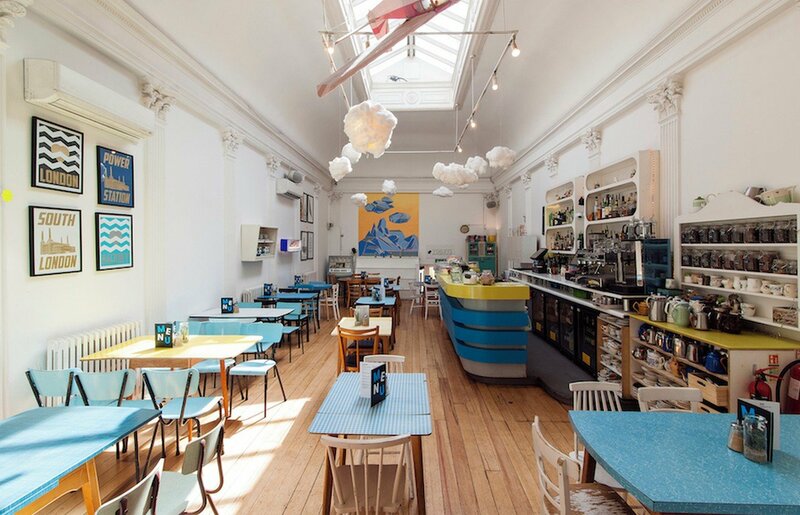 Located upstairs at the back of the shop, the cafe has a flexible floor plan and can accommodate up to 130 guests. A minimum spend is applied to the space, which varies depending on the date and time of your event. Venue hire of the space costs starts from £2000 per day (10am-5pm) and £2000 for the evening (6pm-close). Spacebase also offers the whole venue, dome room and downstairs bar for hire in Drink Shop and Do. This space is not rentable on Friday night and the whole Saturday.